Self Praise or Modesty-Which is Better? Those who are modest can sometimes be praised in our culture, but is it possible that some of those same people are just insecure about what it is they have to offer because of low self worth? There is something to be said about being humble. Although when we don’t have the capacity to share our talents and gifts with others, it can hinder us when it comes to productivity and success in our businesses or careers. Many people don’t like having to constantly praise themselves, including myself. Talking about what a good coach I am all the time makes me tired of hearing myself talk. Even just saying that makes me feel like I am bragging, which in effect, can sometimes come across as highly arrogant – but immediately reverting to patterns of self-depreciation isn’t the answer either. Bragging is different than being genuine in what it is that we have to offer. Unfortunately, all too often, people feel the need to choose between these two extremes, which can both be highly detrimental to a business’ bottom line (each in their own ways). Humility is fine, but there is a point where it crosses over into doormat territory and it becomes hard to respect you as a leader. As a business owner, you need to have a fine balance between self-praise and modesty, but oftentimes that can be quite difficult. How can you overcome this? For one, you can start by surrounding yourself with the right people. If someone is highly self-absorbed and puts you on edge emotionally, this can be both an energy drainer and a productivity killer. Even if you can’t exactly pinpoint what about the individual bothers you, that’s okay, you’re bothered by something so don’t allow yourself to be surrounded with the kind of people who don’t have the capacity or don’t know how to help you feel elevated. Also, when it comes to your own personal brand, don’t be afraid to flaunt your talents and strengths. Whether you’re a business leader or a one man (or woman) show, being afraid to let everyone know what’s so great about you doesn’t serve you. The trap – it might be perceived as a lack of confidence. What then happens is that people begin to question your leadership capabilities or why they’d want to do business with you over the guy down the street who has the same skills but is much more open about his talents without crossing into arrogance territory. What I’ve learned about people is that we love to talk about ourselves. Sometimes people may come across as gloating or bragging, but deep down, we’d all love to talk about our talents and passions in an open, carefree way. This doesn’t mean you need to constantly be talking about them, but learning to identify the appropriate times to insert self-praise into a conversation can be hugely beneficial. Such as when discussing terms with a potential client who can’t choose between you and your competitors; you need to convince them why you are the best choice, even if it means tooting your own horn for a moment or two. If you want to progress forward, both as a person and in your business, you need to find the right balance for you in the applications of modesty and the ability to sell yourself. 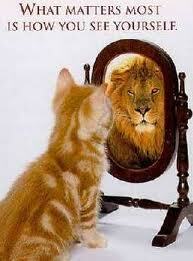 Remember this always comes from how you see yourself and what you believe to be true about you. Being honest and genuine is a great way to counteract the fear of displaying arrogance, so go ahead show off your strengths, but be completely upfront when it comes to what you know you can’t provide as well. It is then that you will you earn others’ respect while ensuring your victory over the competition.